Not everyone has a vegetable garden but almost everyone can appreciate the beauty of a well kept garden and a bountiful harvest. We have some clients that ask for a little patch to grow a few tomatoes or a nice raised bed to plant some cucumbers and beans. 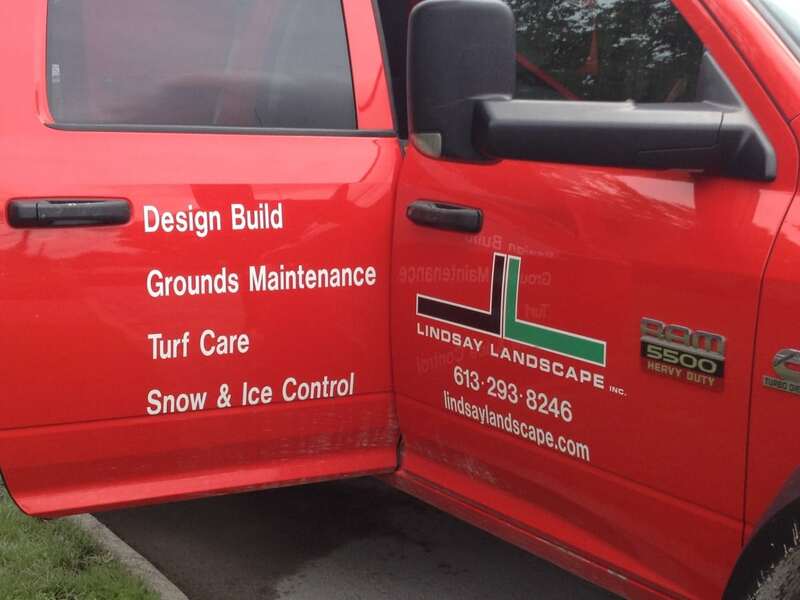 Lindsay Landscape takes great pleasure in seeing our clients have a garden that gives them such enjoyment. 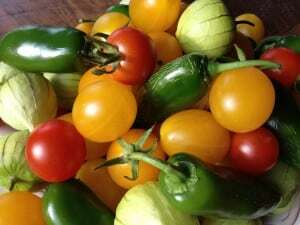 Tomatillos, multi-coloured cherry tomatoes and jalepeno peppers home grown. Planning a full fledged vegetable garden on the other hand takes more planning and careful choosing of the site. Obviously a veggie garden is going to need lots of direct sun. Choosing wisely will reward you come harvest time. A wonderful harvest of tomatoes, cucumbers, carrots, beans, squash, even edamame and tomatillos is possible in our local home gardens. 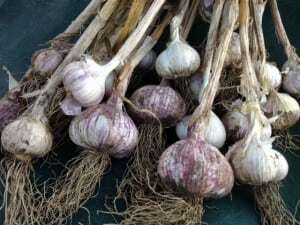 An easy crop that many people don’t even think to grow in their home gardens is garlic. Plant the cloves in mid October, mulch with some straw and forget about it until you clip off the wonderful scapes in mid June and then harvest your bounty in late July or early August. Once you have dug the bulbs, just brush off the dirt and dry for a couple of weeks. Store in a cool, dry place and you will have garlic to keep you going for the winter. Children also get a lot of pleasure from a veggie garden. Plant with them in the spring and watch their eyes light up when the green sprouts start to pop up a few weeks later. Picking the fruits of their labour and presenting to Mom and Dad will be a highlight of the summer for them. Not to mention the opportunity to teach them about where their food actually comes from. An herb garden, a vegetable garden, a small patch for some tomatoes, whatever it is you would like to have Lindsay Landscape can help you make your veggie dream come true!